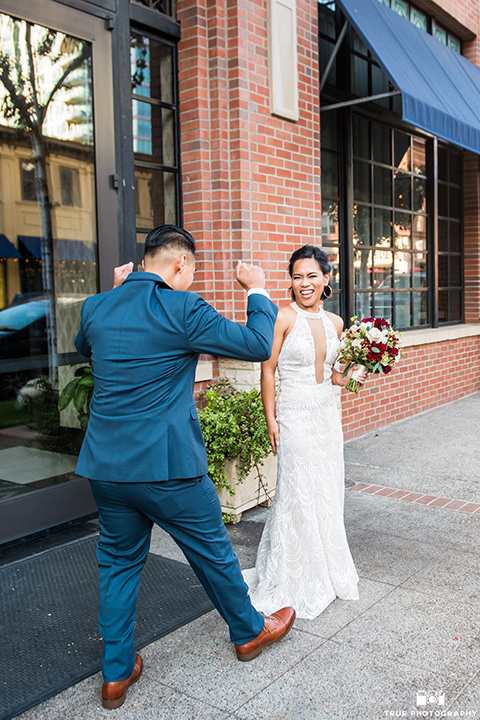 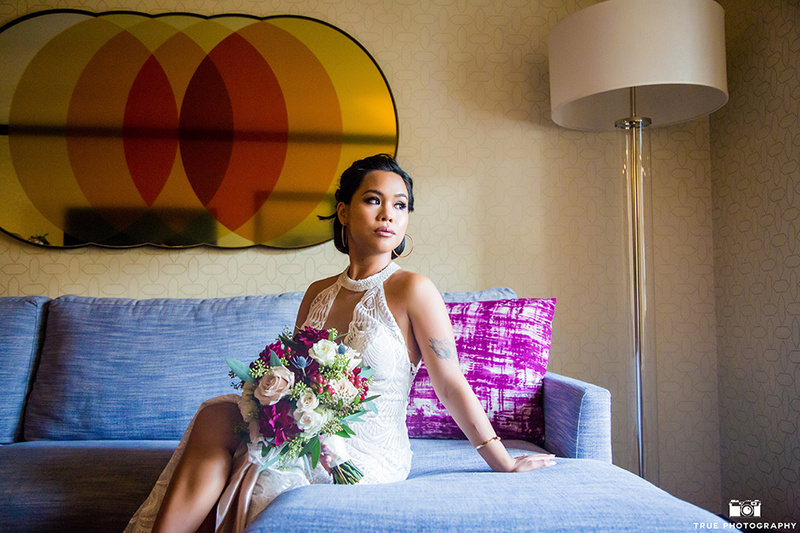 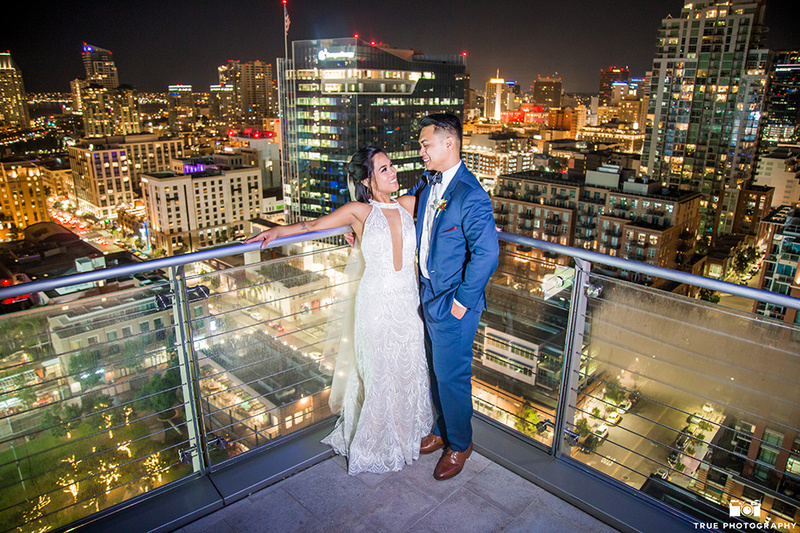 San Diego never comes up short with the views and couples with fun wedding style, and Malori and Josten’s big day definitely kept up with those standards. 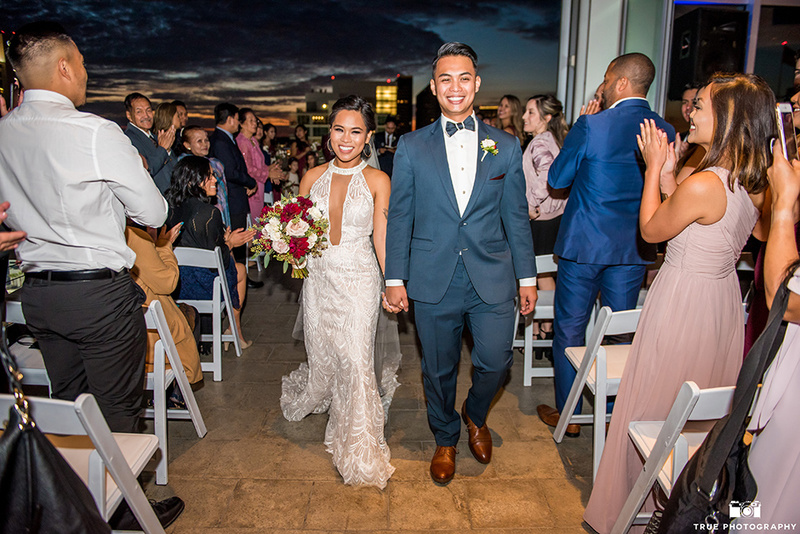 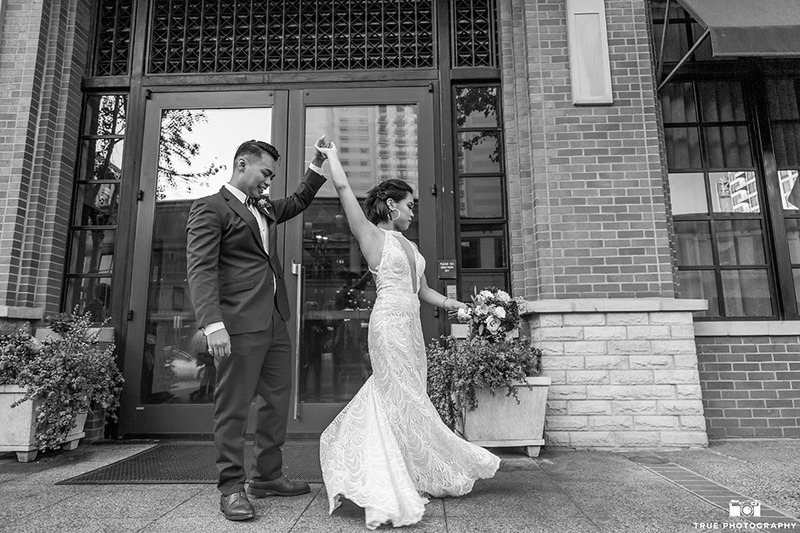 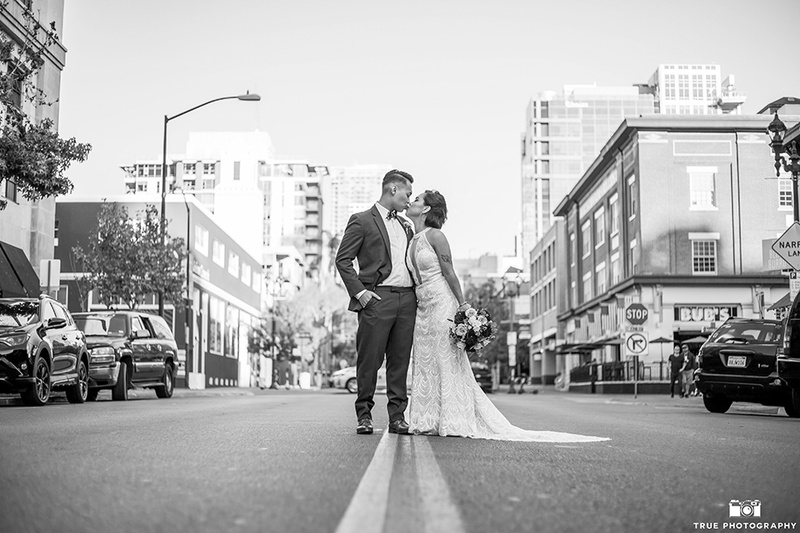 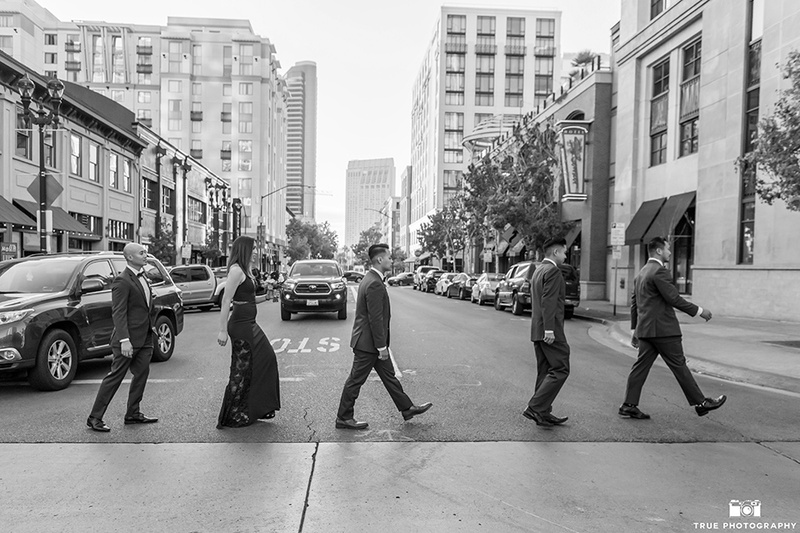 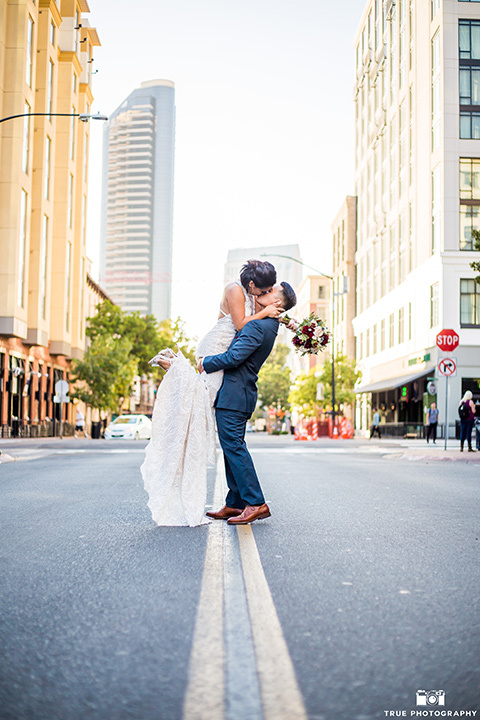 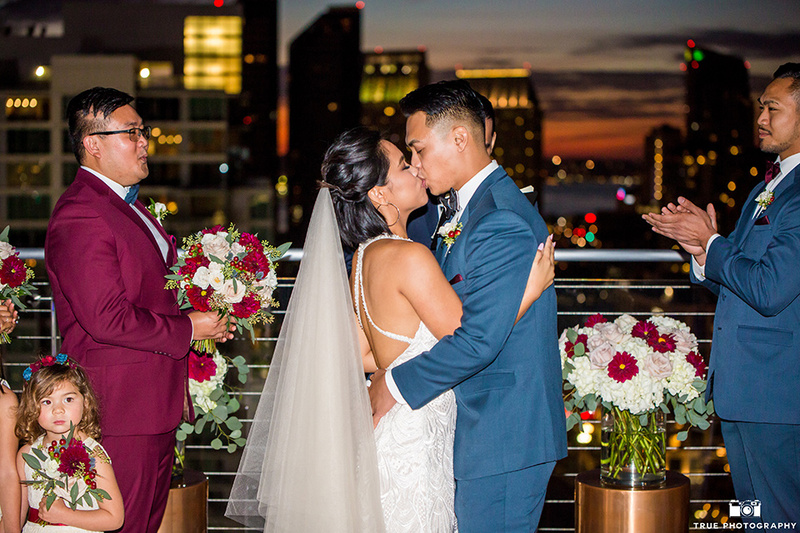 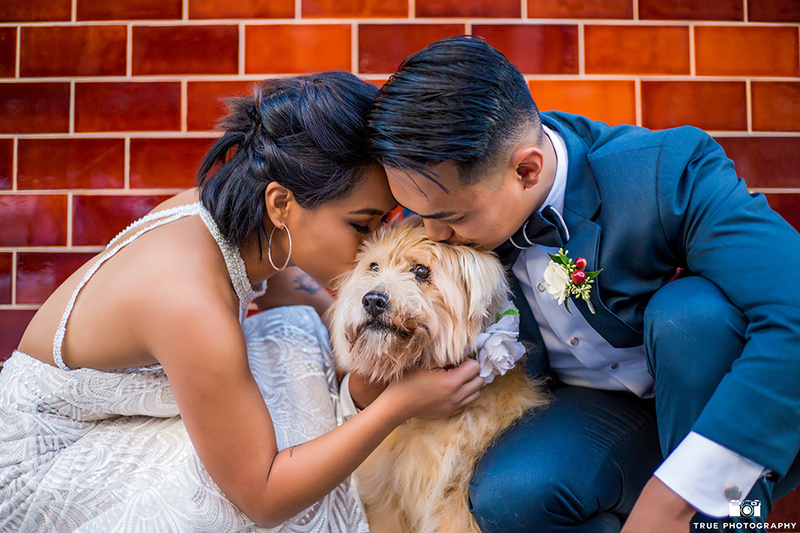 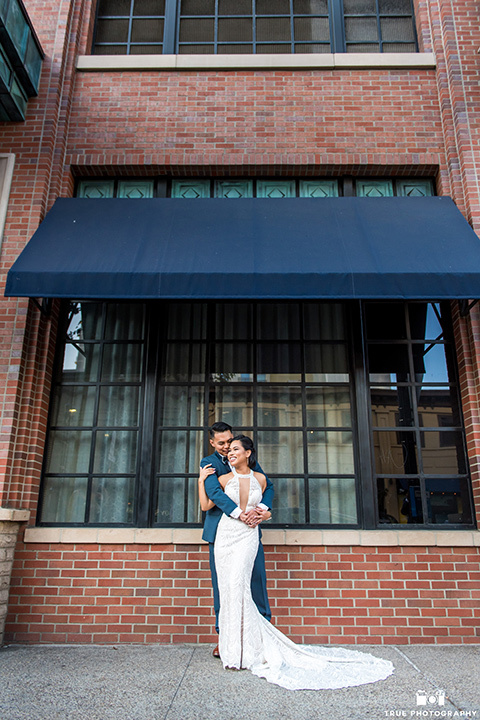 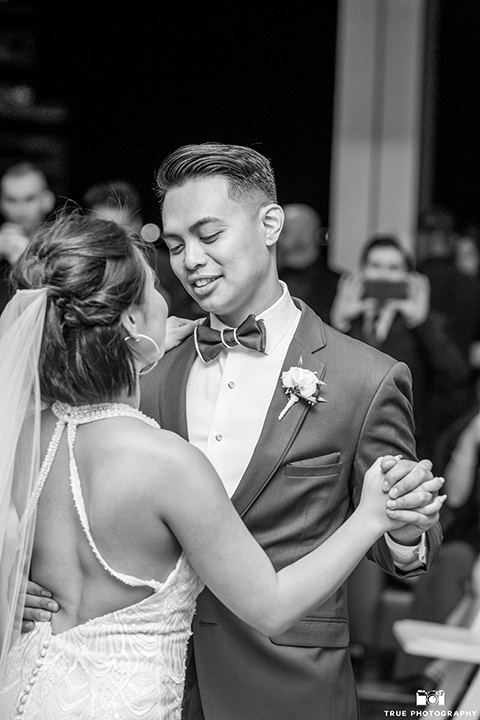 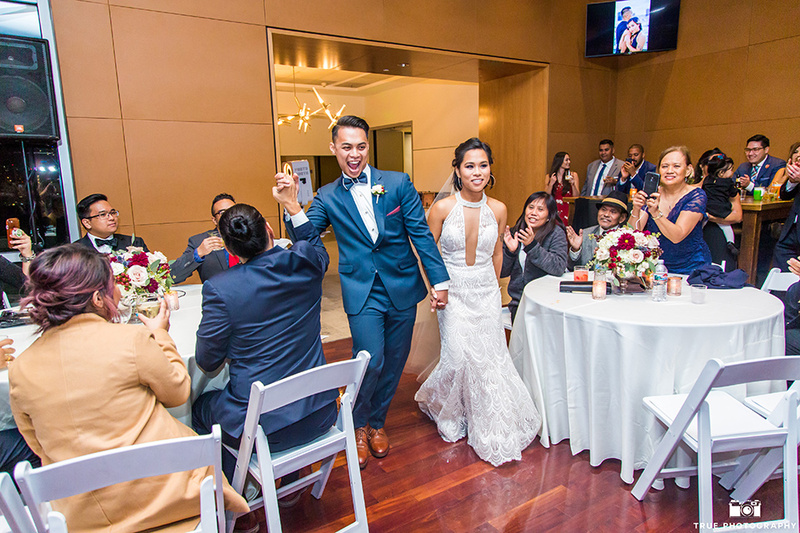 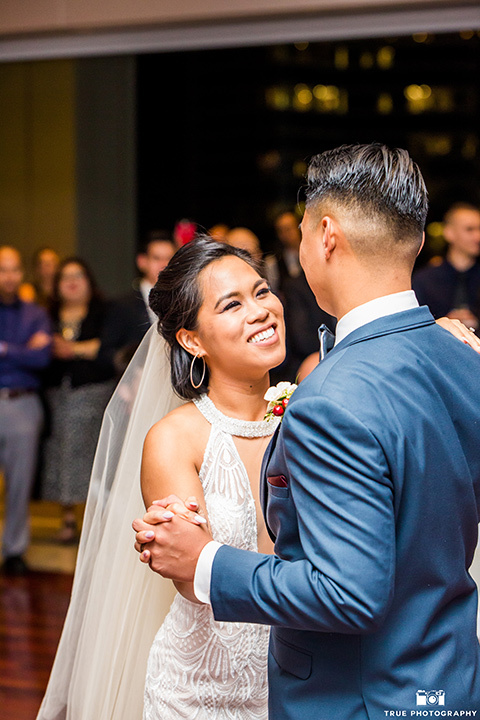 Located at the Ultimate Skybox in downtown San Diego, with city views of Petco Park and the surrounding skyline, it made for the perfect location for their trendy and beautiful wedding. 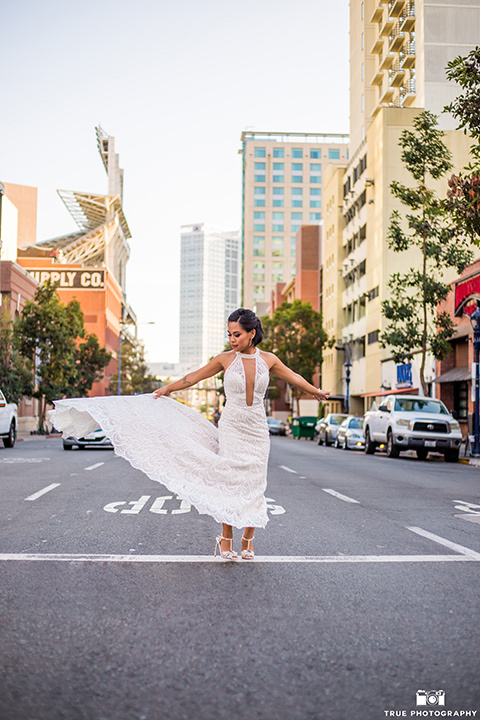 The bride wore a fitted gown with a halter neckline and illusion deep-v cutout. 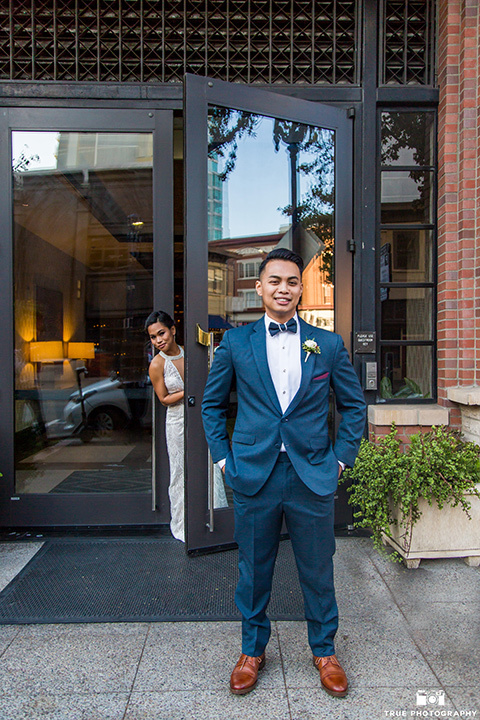 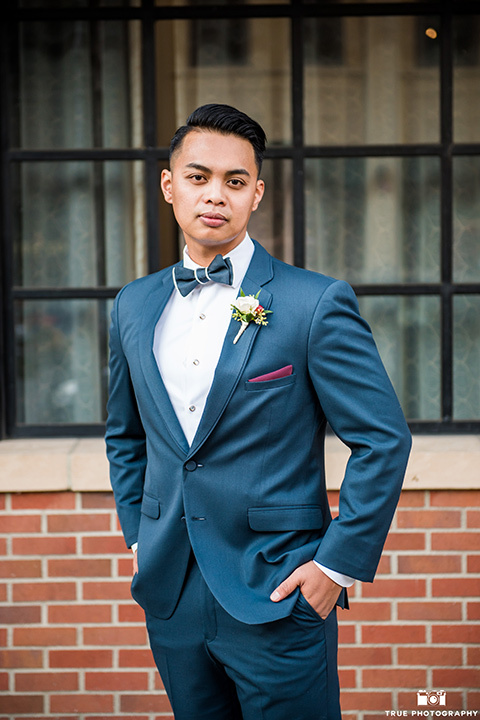 While the groom wore a slate blue suit with matching slate blue bow tie. 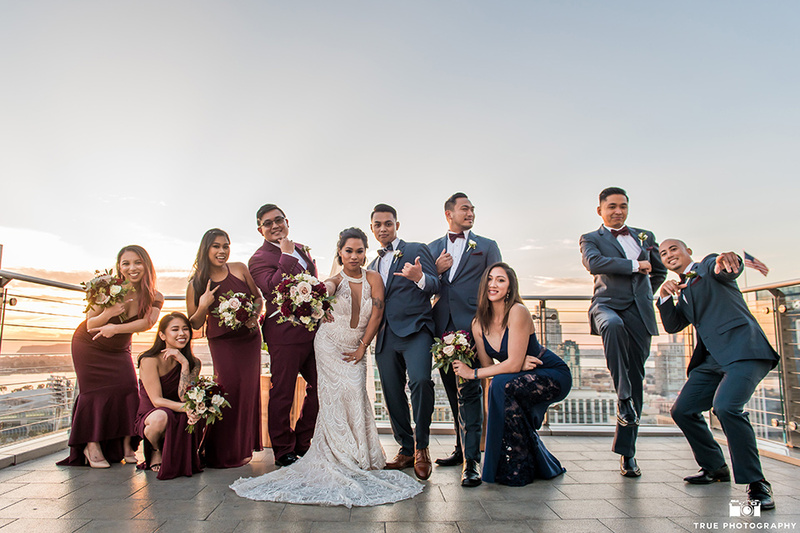 With all genders being integrated into the bridal party sides, we especially loved how this couple styled their “bridesman” and “groomswoman” in their bridal party. 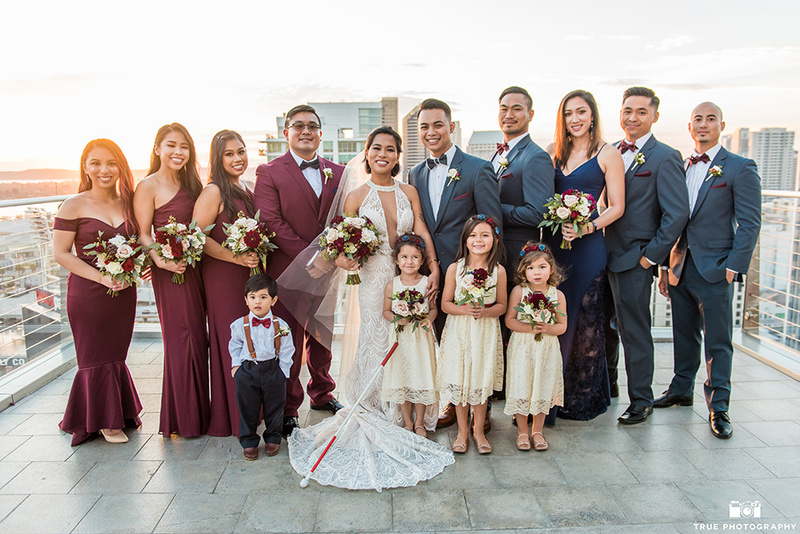 The bridesmaids wore deep burgundy dresses, and the bridesman wore our burgundy retail suit to match them. 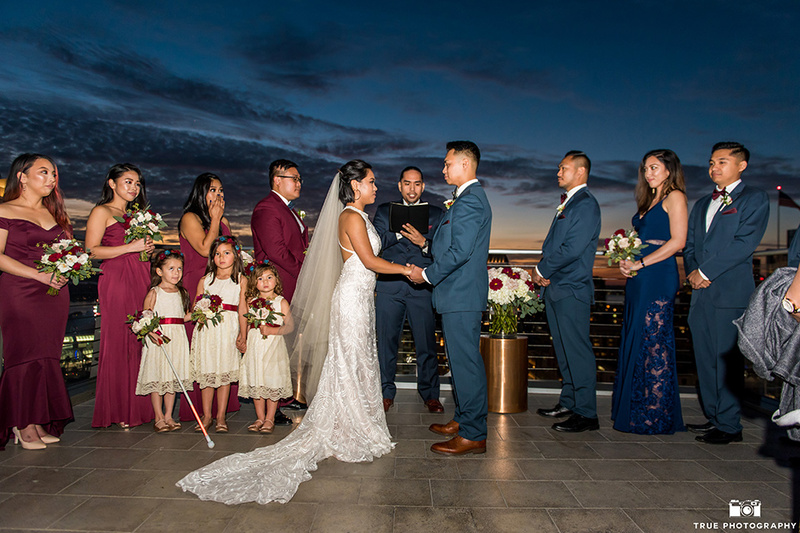 The groomsmen wore slate blue suits with burgundy bow ties, and the groomswoman wore a deep blue lace dress to match the color palette. 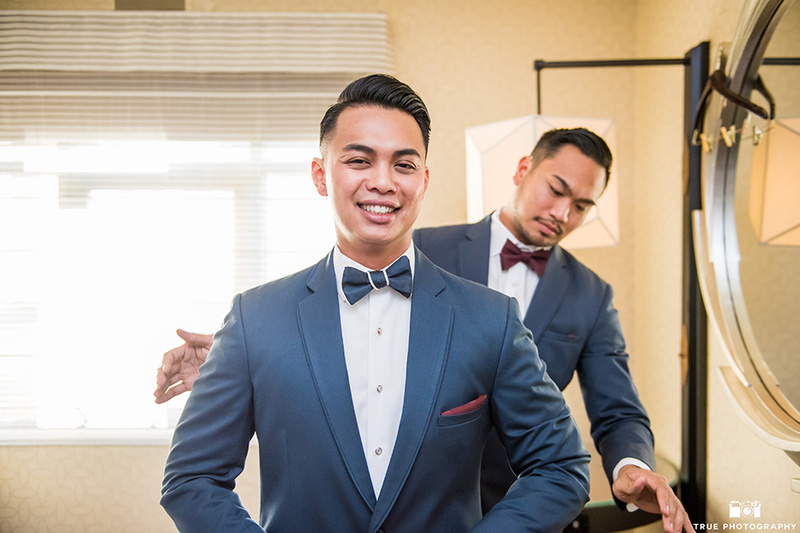 Wondering how to incorporate your bridesman or groomswoman into your bridal party style? 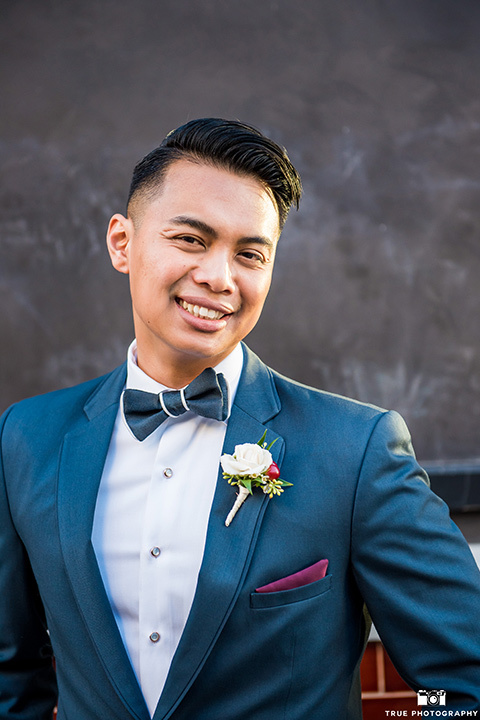 Come into any of our locations and speak to a certified stylist!